Your LOGIN PASSWORD Changes Every Day. View in 2hr, 4hr, 7hr, 12hr chunks, or come back the next day. Any way you want – as OFTEN as you like. *Not many students Use ALL of their Hours. 2 Reps is fine for many students, and NO “Other Material” is needed for Brokers or Sales to PASS. So Your Memory is F R E S H ! Until you’re about 2 weeks out. And even WE CAN’T STOP IT. You can find you DON’T HAVE 14 Days before your exam. Many Pass with only 2 Viewings over a long weekend. But not everyone. So if this is you … consider Rescheduling. There’s a lot to learn and you’re going to need it all for the rest of your career! So if you don’t need a headache, don’t give yourself a headache. The Following applies to a very small percentage of our students who POSTPONE or don’t make it the first time – most of whom pass after realizing they need MORE THAN 1 VIEWING to transfer this much illumination to their own Long Term Memory. WHAT IF I DON’T SUCCEED THE FIRST TIME? 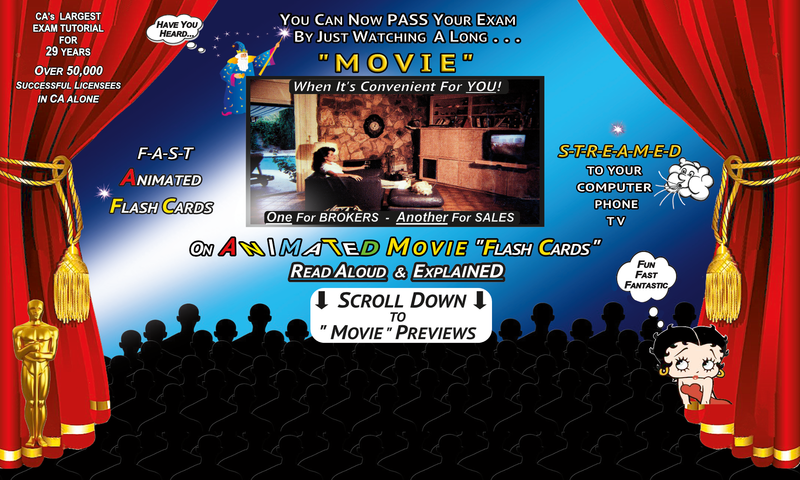 * 5 More Free DAYS of Viewing – immediately before your next Exam Date. YOUR 5 Free Daily Passwords will START Arriving Again Automatically at Midnight – for 5 Days of Viewing Immediately Prior to your New Exam Date. Real Estate Excellence is on your side. We understand you’ve come a long way to qualify for the exam, which means you’re serious. We understand life isn’t always predictable, that some people are in a second language, and some don’t end up having enough time to study when the unavoidable – interferes with study plans. So we’ve got you covered, and can be flexible where needed. Just ask and we’ll always try to accommodate. WHAT IF I POSTPONE MY EXAM? You don’t need to do anything as long as you’re in your 6 months Term window. When you’re ready to START – just Email REEinc@me.com THE DATE you want us to start sending your 14 daily passwords. PAUSE your remaining 14 days of passwords. whatever Remaining 14 days of Passwords left. “Name, Examinee Number, Exam Type, Exam Date – Time – Location, etc. *WHY IS THERE A MAXIMUM OF 3 REPETITIONS TRACKED TO MY PASSWORDS ? Illegal Sharing. Without these conditions, there would be no FANTASTIC Movie Tutorial for you to pass your exam. *You can view your Rental Tutorial 3 times. That’s more than enough. *Your viewing hours are Tracked and Correlated to YOUR PASSWORDS. “PAUSE” Does NOT Count against your TIME Limit. But unfortunately, THIS level of Video Production and Streaming takes a lot of time and expense. a) You should PLAN Your Study Time on a Calendar in advance, and stick to it to be fair to yourself. c) The LAST REP should be a day or two before your exam so your memory is CRISP & FRESH! d) Drop everything else. You are better off with another Rep than spreading yourself thin. Keep a positive attitude. Vote for yourself. And good luck in your new career. With a little sleep in-between Reps, many things will miraculously begin to come clear, and with far less effort than consciously “try-try-trying!” Trust your mind. This is a new kind of teaching that TAPS into your brain’s AUTOMATICS you’ve been using every day for learning all those things you didn’t even realize you’d been remembering. Melodies, Songs you heard as a baby, Faces you can picture years later, or Something someone said you’d forgoten who … then picture later in life because it turned out to have been important to who you’ve become. It’s endless. You’re going to be AMAZED at how much ALREADY remember. *** YOU Are Responsible for all usage or activity related to your passwords, including use by any third party authorized by you to use your login credentials. 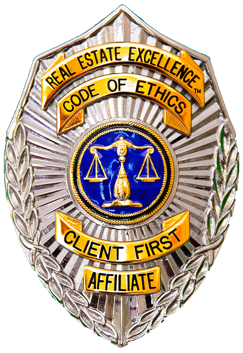 Any fraudulent, abusive, or otherwise illegal activity may be grounds for termination of your use, at our sole discretion, and we may refer you to appropriate law enforcement agencies if you have clearly and intentionally copied, shared, or performed our copyrighted materials and intellectual properties. Any person you share a password with may gain access to your rental history and credit card information, and their viewing counts against your limited cumulative rental time of 3 views total. You NEED 3 views if you expect your mind to easily remember. You can only receive streaming on one device per user at any given time. Each rental Term is for use by a single examinee. You may use our Services and Content only for personal, non-commercial purposes.